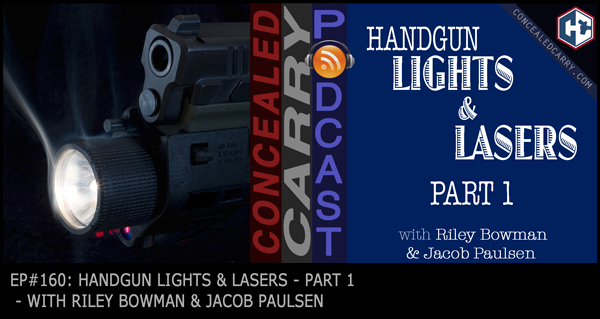 A podcast listener requested we give our take on lights and lasers for handguns. Jacob and Riley did their best to do so, but after an hour of just talking about the lights piece, they decided to break it up into 2 parts! More to come obviously on the topic, but don't miss this episode to get everything you wanted and then some on handheld and weapon mounted lights for your handgun. Press ‘PLAY' above to listen now! I was pretty surprised when I got up this morning and saw that you guys used my suggestion about the lights/lasers! Thanks so much very informational. Can’t wait to hear part 2!